This Balsamic Vinegar of Modena is produced especially for Rustichella d'Abruzzo by Manicardi, a highly regarded wine and vinegar maker. 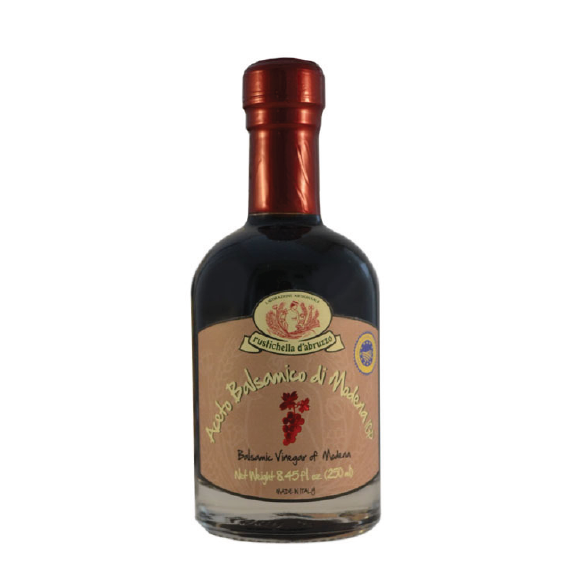 This high quality balsamic vinegar has a delicate acidity. Aged for 6-12 years, this balsamic is sweet and bright perfect ingredient in marinades and dressings.